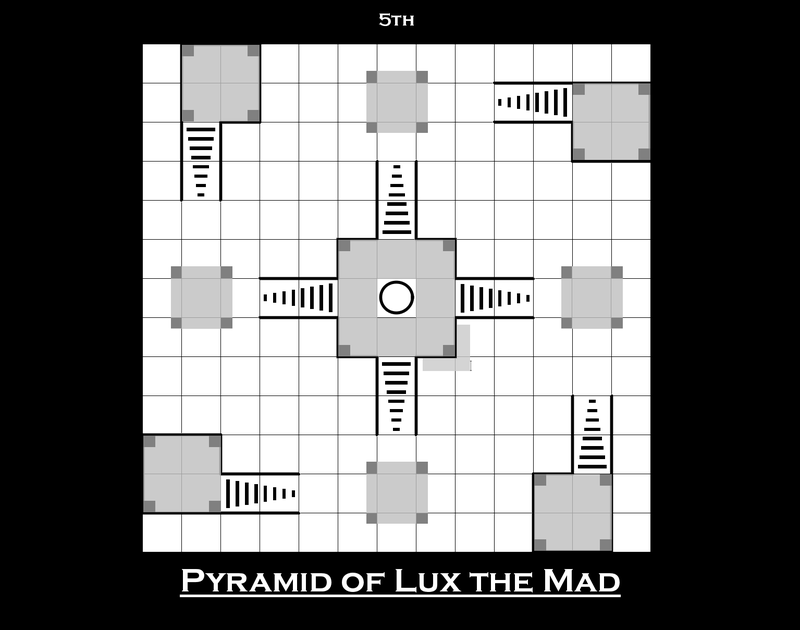 Level 5 consists of tiers, pillars and a few surprises in what is the first of a multi-level layout. 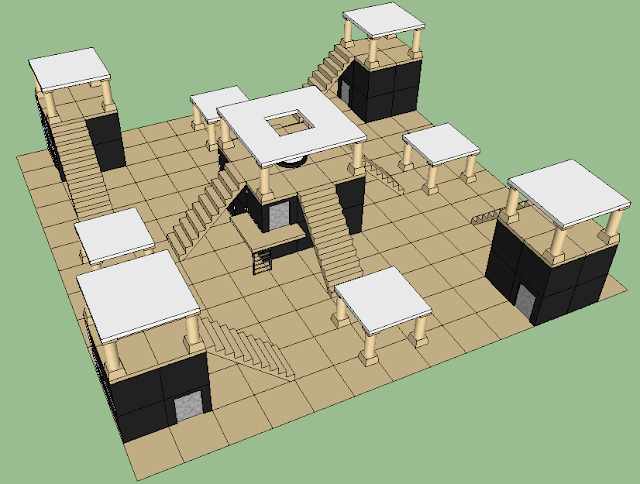 This was by far the hardest to map in Sketchup, but I'm pleased with the results. Note that doors were left off the top view for clarity.